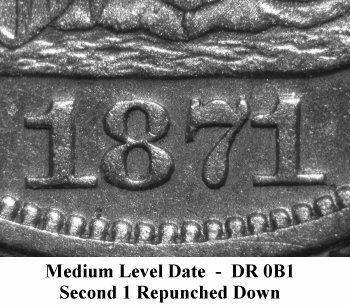 Comments: On Obverse 6, the second 1 digit shows traces of repunching above the flag and the right base. 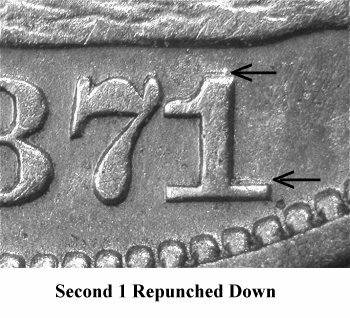 There is a small trace of repunching above the right upper loop of the 7 digit. 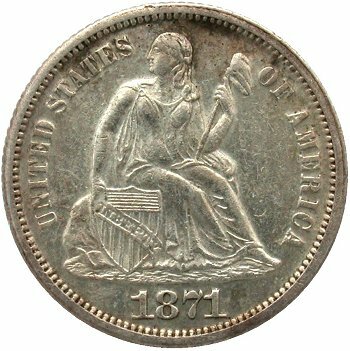 Reverse E can be identified through its die lines. 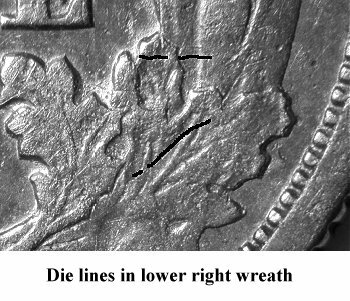 The primary die lines are located in the lower right wreath as shown above. 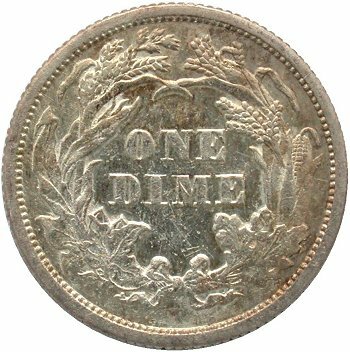 Additional die lines can be seen in and around the wreath at 10:30.